“Thank you, thank you dear friends, from the bottom of my heart, for such a loving and spirited welcome, and thank you, Mr. President, for your kind invitation to me which I am so honoured to accept. I also want to express a special thanks to you Shmuley, who for 11 years served as Rabbi here at Oxford. You and I have been working so hard to form Heal the Kids, as well as writing our book about child-like qualities, and in all of our efforts you have been such a supportive and loving friend. And I would also like to thank Toba Friedman, our director of operations at Heal the Kids, who is returning tonight to the Alma Mater where she served as a Marshall scholar, as wee as Marilyn Piels, another central member of our Heal the Kids team. “I am humbled to be lecturing in a place that has previously been filled by such notable figures as Mother Theresa, Albert Einstein, Ronald Reagan, Robert Kennedy and Malcolm X. I’ve even heard that Kermit the Frog has made an appearance here, and I’ve always felt a kinship with Kermit’s message, that “it’s not easy being green!” I’m sure he didn’t find it any easier being up here than I do! “As I looked around Oxford today, I couldn’t help but be aware of the majesty and grandeur of this great institution, not to mention the brilliance of the great and gifted minds that have roamed these streets for centuries. The walls of Oxford have not only housed the greatest philosophical and scientific geniuses – they have also ushered forth some of the most cherished creators of children’s literature, from J. R. R. Tolkien to C.S. Lewis. Today, I was allowed to hobble into the dining hall in Christ Church to see Lewis Carroll’s ‘Alice in Wonderland’ immortalised in the stained glass windows. And even one of my own fellow Americans, the beloved Dr Seuss graced these halls and then went on to leave his mark on the imaginations of millions of children throughout the world. “I suppose I should start by listing my qualifications to speak before you this evening. Friends, I do not claim to have the academic expertise of other speakers who have addressed this hall, just as they could lay little claim at being adept at the moonwalk – and you know, Einstein in particular was really TERRIBLE at that. “But I do have a claim to having experienced more places and cultures than most people will ever see. Human knowledge consists not only of libraries of parchment and ink – it also comprises the volumes of knowledge that are written on the human heart, chiseled on the human soul, and engraved on the human psyche. And friends, I have encountered so much in this relatively short life of mine that I still cannot believe I am only 42. I often tell Shmuley that in soul years I’m sure that I’m at least 80 – and tonight I even walk like I’m 80! So please harken to my message, because what I have to tell you tonight can bring healing to humanity and healing to our planet. “Through the grace of God, I have been fortunate to have achieved many of my artistic and professional aspirations realised early in my lifetime. But these, friends, are accomplishments, and accomplishments alone are not synonymous with who I am. Indeed, the cheery five-year-old who belted out Rockin’ Robin and Ben to adoring crowds was not indicative of the boy behind the smile. “Tonight, I come before you less as an icon of pop [whatever that means anyway], and more as an icon of a generation, a generation that no longer knows what it means to be children. “All of us are a product of our childhood, But I am the product of a lack of a childhood, an absence of that precious and wondrous age when we frolic playfully without a care in the world, basking in the adoration of parents and relatives, where our biggest concern is studying for that big spelling test come Monday morning. 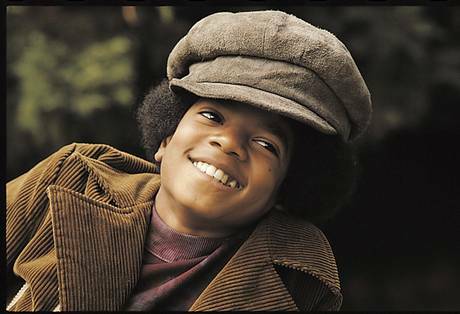 “Those of you who are familiar with the Jackson Five know that I began performing at the tender age of five and that ever since then, I haven’t stopped dancing or singing. But while performing and making music undoubtedly remain as some of my greatest joys, when I was young I wanted more than anything else to be a typical little boy. I wanted to build tree houses, have water balloon fights, and play hide-and-seek with my friends. But fate had it otherwise and all I could do was envy the laughter and playtime that seemed to be going on all around me. “There was no respite from my professional life, but on Sundays I would go Pioneering, the term used for the missionary work that Jehovah ‘s Witnesses do. And it was then that I was able to see the magic of other people’s childhoods. “Since I was already a celebrity, I would have to don a disguise of fat suit, beard and glasses and we would spend the day in the suburbs of Southern California, going door-to-door or making the rounds of shopping malls, distributing our Watchtower magazine. I loved to set foot in all those regular suburban houses and catch sight of the shag rugs and La-Z-Boy armchairs with kids playing Monopoly and grandmas baby-sitting and all those wonderful, ordinary and starry scenes of everyday life. Many, I know, would argue that these things seem like no big deal. But to me they were mesmerising. “I used to think that I was unique in feeling that I was without a childhood. I believed that indeed there were only a handful with whom I could share those feelings. When I recently met with Shirley Temple Black, the great child star of the 1930s and 40s, we said nothing to each other at first, we simply cried together, for she could share a pain with me that only others like my close friends Elizabeth Taylor and McCauley Culkin know. “It is not just Hollywood child stars that have suffered from a non-existent childhood. Today, it’s a universal calamity, a global catastrophe. Childhood has become the great casualty of modern-day living. All around us we are producing scores of kids who have not had the joy, who have not been accorded the right, who have not been allowed the freedom, of knowing what it’s like to be a kid. “Today children are constantly encouraged to grow up faster as if this period known as childhood is a burdensome stage, to be endured and ushered through, as swiftly as possible. “And on that subject I am certainly one of the world’s greatest experts. “Ours is a generation that has witnessed the abrogation of the parent-child covenant. Psychologists are publishing libraries of books detailing the destructive effects of denying one’s children the unconditional love that is so necessary to the healthy development of their minds and character. And because of all the neglect, too many of our kids have, essentially, to raise themselves. They are growing more distant from their parents, grandparents and other family members, as all around us the indestructible bond that once glued together the generations, unravels. “This violation has bred a new generation, Generation O let us call it, that has now picked up the torch form Generation X. The O stands for a generation that has everything on the Outside – wealth, success, fancy clothing and fancy cars, but an aching emptiness on the inside. That cavity in our chests, that barrenness at our core, that void in our centre is the place where the heart once beat and love once occupied. “And it’s not just the kids who are suffering. It’s the parents as well. For the more we cultivate little-adults-in-kid’s-bodies, the more removed we ourselves become from our own child-like qualities, and there is so much about being a child that is worth retaining in adult life. “Love, ladies and gentlemen, is the human family’s most precious legacy, its richest bequest, its golden inheritance. And it is a treasure that is handed down from one generation to another. Previous ages may not have had the wealth we enjoy. Their houses may have lacked electricity and they squeezed their many kids into small homes without central heating. But those homes had no darkness, nor were they cold. They were lit bright with the glow of love and they were warmed snugly by the very heat of the human heart. Parents undistracted by the lust for luxury and status, accorded their children primacy in their lives. “As you all know, our two countries broke from each other over what Thomas Jefferson referred to as “certain inalienable rights”. And while we Americans and British might dispute the justice of his claims, what has never been in dispute is that children have ‘certain inalienable rights’, and the gradual erosion of those rights has led to scores of children worldwide being denied the joys and security of childhood. 1. The right to be loved, without having to earn it. 4. The right to be listened to, without having to be interesting. 5. The right to be read a bedtime story, without having to compete with the evening news. 6. The right to an education, without having to dodge bullets at school. “Friends, the foundation of all human knowledge, the beginning of human consciousness, must be that each and every one of us is an object of love. Before you know if you have red hair or brown, before you know if you are black or white, before you know of what religion you are a part, you have to know that you are loved. “About twelve years ago, when I was just about to start my ‘Bad’ tour, a little boy came with his parents to visit me at home in California. He was dying of cancer and he told me how much he loved my music and me. His parents told me that he wasn’t going to live, that any day he could just go, and I said to him, “Look, I am going to be coming to your town in Kansas to open my tour in three months, I want you to come to the show. I am going to give you this jacket that I wore in one of my videos.” His eyes lit up and he said, ” You are gonna GIVE it to me?” I said, “Yeah, but you have to promise that you will wear it to the show.” I was trying to make him hold on. I said, “When you come to the show I want to see you in this jacket and in this glove” and I gave him one of my rhinestone gloves – and I never usually give the rhinestone gloves away. And he was just in heaven. “But maybe he was too close to heaven, because when I came to his town, he had already died, and they had buried him in the glove and jacket. He was just 10 years old. God knows, I know, that he tried his best to hold on. But at least when he died he knew that he was loved, not only by his parents, but even by me a near stranger. I also loved him. And with all of that love he knew that he didn’t come into this world alone, and he certainly didn’t leave it alone. “If you enter this world knowing you are loved and you leave this world knowing the same, then everything that happens in between can be dealt with. A professor may degrade you, but you will not feel degraded; a boss may crush you , but you will not be crushed; a corporate gladiator might vanquish you, but you will still triumph. How could any of them truly prevail in pulling you down? For you know that you are an object worthy of love. The rest is just packaging. “But if you don’t have that memory of being loved, you are condemned to search the world for something to fill you up. But no matter how much money you make or how famous you become, you will still feel empty. What you are really searching for is unconditional love, unqualified acceptance. And that was the one thing that was denied to you at birth. “Friends, let me paint a picture for you. Here is a typical day in America – six youths under the age of 20 will commit suicide, 12 children under the age of 20 will die from firearms – remember this is a DAY, not a year – 399 kids will be arrested for drug abuse, and 1,352 babies will be born to teen mothers. This is happening in one of the richest, most developed countries in the history of the world – USA. “Yes, in my country there is an epidemic of violence that parallels no other industrialised nation. These are the ways young people in America express their hurt and their anger. But don’t think that there is not the same pain and anguish among their counterparts in the United Kingdom. Studies in this country show that every single hour three teenagers in the UK inflict harm upon themselves, often by cutting or burning their bodies or taking an overdose. This is how they have chosen to cope with the pain of neglect and emotional agony. “In Britain, as few as 20% of families will sit down and have dinner together once a year. Once a year! And what about the time-honoured tradition of reading your kid a bedtime story? Research from the 1980s showed that children who are read to had far greater literacy and significantly outperformed their peers at school. And yet less than 33% of British children, aged two to eight, have a regular bedtime story read to them. You may not think much of that until you take into account that 75% of their parents DID have that bedtime story when they were that age. “Clearly , we do not have to ask ourselves where all of this pain, anger and violent behaviour comes from. It is self-evident that children are thundering against the neglect, quaking against the indifference and crying out just to be noticed. The various child protection agencies in the US say that millions of children are victims of maltreatment in the form of neglect, in the average year. Yes, neglect. In reach homes, privileged homes, wired to the hilt with every electronic gadget. Homes where parents come home, but they’re not really home, because their heads are still at the office. And their kids? Well, their kids just make do with whatever emotional crumbs they get. And you don’t get much from endless TV, computer games and videos. “These hard, cold numbers which, for me, wrench the soul and shake the spirit, should indicate to you why I have devoted so much of my time and resources into making our new Heal the Kids initiative a colossal success. “Our goal is simple – to recreate the parent/child bond, renew its promise and light the way forward for all the beautiful children who are destined one day to walk this earth. “But since this is my first public lecture, and you have so warmly welcomed me into your hearts, I feel that I want to tell you more. We each have our own story, and in that sense statistics can become personal. “When I was very young I remember that we had this crazy mutt of a dog named Black Girl, a mix of wolf and retriever. Not only wasn’t she much of a guard dog, she was such a scared and nervous thing that it is a wonder she did not pass out every time a truck rumbled by or a thunderstorm swept through Indiana. My sister, Janet, and I gave that dog so much love, but we never really won back the sense of trust that had been stolen from her by her previous owner. We knew he used to beat her. We didn’t know with what, but whatever it was, it was enough to knock the spirit right out of that dog. “A lot of kids today are hurt puppies who have weaned themselves off the need for love. They couldn’t care less about their parents. Left to their own devices, they cherish their independence. They have moved on and have left their parents behind. “Then there are the far worse cases of children who harbour animosity and resentment toward their parents so that any overture that their parents might undertake would be thrown forcefully back in their faces. “Tonight, I don’t want any of us to make this mistake. That’s why I’m calling upon all the world’s children – beginning with all of us here tonight – to forgive our parents, if we felt neglected. “Forgive them and teach them how to love again. “You probably weren’t suprised to hear that I did not have an idyllic childhood. The strain and tension that exists in my relationship with my own father is well documented. My father is a tough man and he pushed my brothers and me hard, from the earliest age, to be the best performers we could be. “He had great difficulty showing affection. He never really told me he loved me. And he never really complimented me either. If I did a great show, he would tell me it was a good show. And if I did an okay show, he told me it was a lousy show. “He seemed intent, above all else, on making us a commercial success. And at that he was more than adept. My father was a managerial genius and my brothers and I owe our professional success, in no small measure, to the forceful way that he pushed us. he trained me as a showman and under his guidance I couldn’t miss a step. “But what I really wanted was a DAD. I wanted a father who showed me love. And my father never did that. He never said ‘I love you’ while looking me straight in the eye, he never played a game with me. He never gave me a piggyback ride, he never threw a pillow at me, or a water balloon. “But I remember once when I was about 4 years old, there was a little carnival and he picked me up and put me on a pony. It was a tiny gesture, probably something he forgot five minutes later, but because of that moment I have this special place in my heart for him. Because that’s how kids are, the little things mean so much to them and for me, that one moment meant everything. I only experienced it that one time, but it made me feel really good, about him and the world. “But now I am a father myself, and one day I was thinking about my own children, Prince and Paris [and Blanket, b. 2002] and how I want them to think of me when they grow up. To be sure, I would like them to remember how I always wanted them with me wherever I went, how I always tried to put them before everything else. But there are also challenges in their lives. Because my kids are stalked by paparazzi, they can’t always go to a park or a movie with me. “I hope that they will always focus on the positive things, on the sacrifices I willingly made for them, and not criticise the things they had to give up or the errors I’ve made, and will certainly continue to make, in raising them. For we have all been someone’s child, and we know that despit the very best of plans and efforts, mistakes will always occur. That’s just being human. “And when I think about this, of how I hope that my children will not judge me unkindly, and will forgive my shortcomings, I am forced to think of my own father and despite my earlier denials, I am forced to admit that he must have loved me. He did love me, and I know that. “There were little things that showed it. When I was a kid I had a real sweet tooth – we all did. My favorite food was glazed doughnuts and my father knew that, so every few weeks I would come downstairs in the morning and there on the kitchen counter was a bag of glazed doughnuts – no note, no explanation – just the doughnuts. It was like Santa Claus. “And when I allow the floodgates to open up, there are other memories that come rushing back. Memories of other tiny gestures, however imperfect, that showed that he did what he could. So, tonight, rather than focusing on what my father didn’t do, I want to focus on all the things he did do and on his own personal challenges. I want to stop judging him. “I have started reflecting on the fact that my father grew up in the South, in a very poor family. He came of age during the Depression and his own father, who struggled to feed his children, showed little affection towards his family and raised my father and his siblings with an iron fist. Who could have imagined what it was like to grow up a poor black man in the South, robbed of dignity, bereft of hope, struggling to become a man in a world that saw my father as subordinate. I was the first black artist to play on MTV and I remember how big a deal it was even then, and that was in the 80s! “My father moved to Indiana and had a large family of his own, working long hours in the steel mill, work that kills the lungs and humbles the spirit, all to support his family. Is it any wonder that he found it difficult to expose his feelings? Is it any mystery that he hardened his heart, that he raised the emotional ramparts? And most of all, is it any wonder why he pushed his sons so hard to succeed as performers, so that they could be saved from what he knew to be a life of indignity and poverty? “I have begun to see that even my father’s harshness was a kind of love, an imperfect love, to be sure, but love nonetheless. He pushed me because he loved me. Because he wanted no man ever to look down at his offspring. “Almost a decade ago, I founded a charity called 'HEAL THE WORLD'. The title was something I felt inside me. Little did I know , as Shmuley later pointed out, that those three words form the cornerstone of an Old Testament prophecy. Do I really believe that we can heal this world, that is riddled with war and genocide, even today? And do I really think that we can heal our children, the same children who can enter their schools with guns and hatred and shoot down their classmates, like they did at Columbine? Or children who can beat a defenceless toddler to death, like the tragic story of Jamie Bulger? Of course I do, or I wouldn’t be here tonight. “But it all begins with forgiveness, because to heal the world, we first have to heal ourselves. And to heal the kids, we first have to heal the child within, each and every one of us. As an adult, and as a parent, I realize that I cannot be a whole being, nor a parent capable of unconditional love, until I put to rest the ghost of my own childhood. “And that’s what I’m asking all of us to do tonight. Live up to the fifth of the Ten Commandments – Honour Your Parents – by not judging them. Give them the benefit of the doubt. “That is why I want to forgive my father and to stop judging him. I want to forgive my father, because I want a father, and this is the only one that I’ve got. I want the weight of my past lifted from my shoulders and I want to be free to step into a new relationship with my father, for the rest of my life, unhindered by the goblins of the past. “In a world filled with hate, we must still dare to hope. In a world filled with anger, we must still dare to comfort. In a world filled with despair, we must still dare to dream. And in a world filled with distrust, we must still dare to believe. “To all of you tonight who feel let down by your parents, I ask you to let down your disappointment. To all of you tonight who feel cheated by your fathers or mothers, I ask you not to cheat yourself further. And to all of you who wish to push your parents away, I ask you to extend your hand to them instead. I am asking you , I am asking myself, to give our parents the gift of unconditional love, so that they too may learn how to love from us, their children. So that love will finally be restored to a desolate and lonely world. “Shmuley once mentioned to me an ancient Biblical prophecy which says that a new world and a new time would come, when, “The hearts of the parents would be restored through the hearts of their children.” My friends, we are that world, we are those children. “This call for forgiveness may not result in Oprah moments the world over, with thousands of children making up with their parents, but it will at least be a start, and we’ll all be so much happier as a result. “And so ladies and gentleman, I conclude my remarks tonight with faith, joy and excitement. From this day forward, may a new song be heard. Let that new song be the sound of children laughing. Let that song be the sound of children playing. Let that song be the sound of children singing. Let that song be the sound of parent listening. Together , let us create a symphony of hearts, marveling at the miracle of our children and basking in the beauty of love. Let us heal the world and blight its pain. And may we all make beautiful music together. The words of Michael Jackson. Source of this transcript unknown.